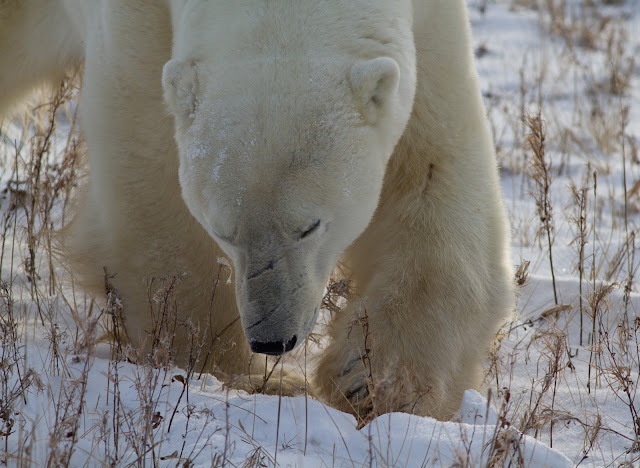 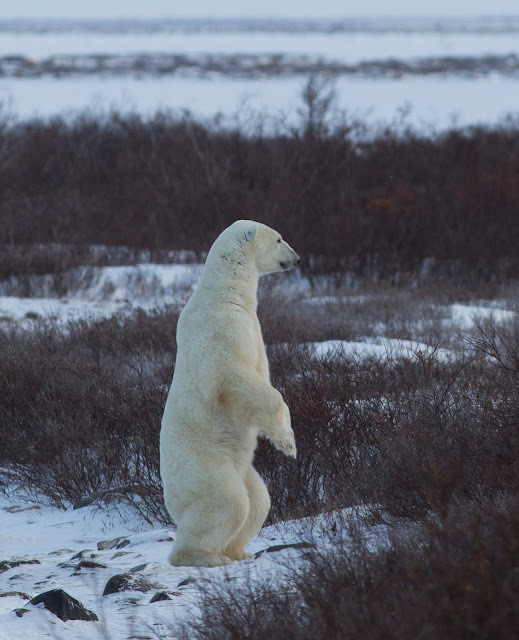 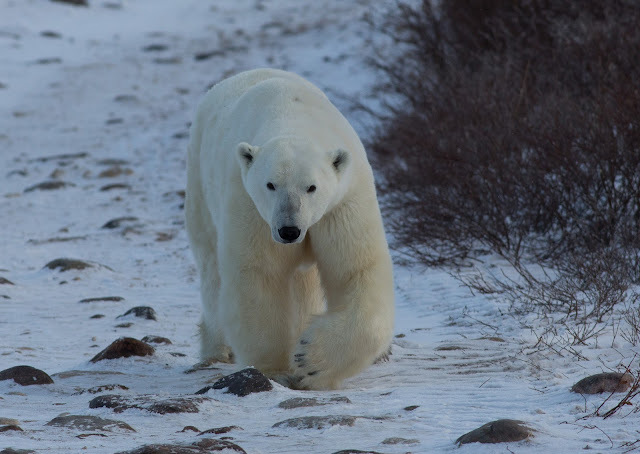 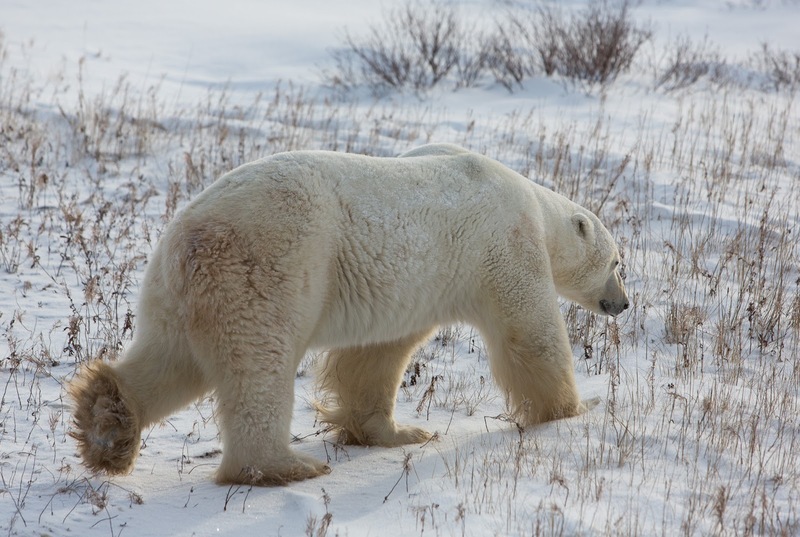 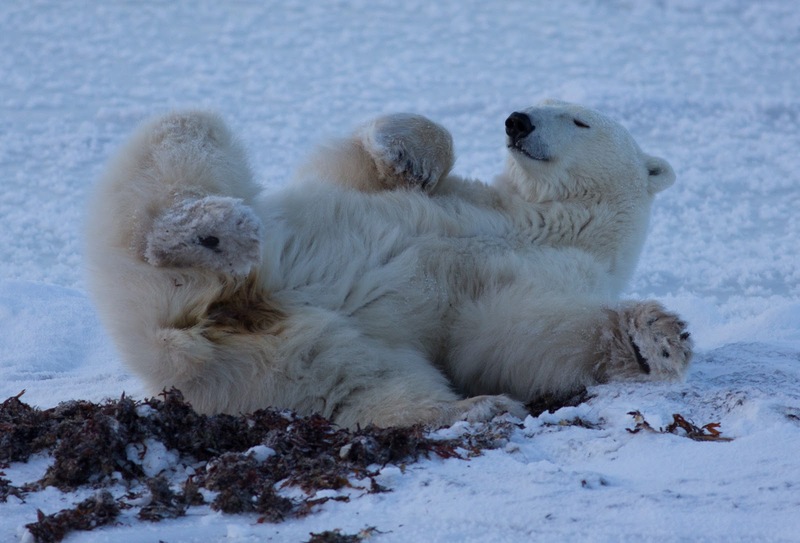 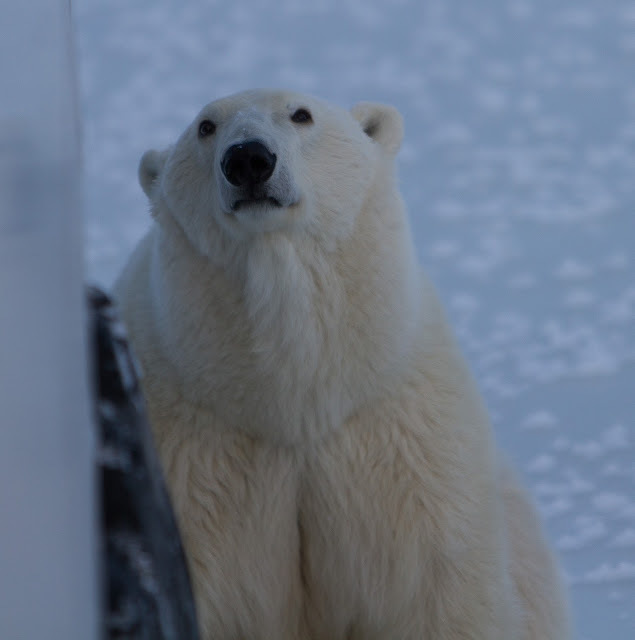 This was my last day in Churchill and my second day viewing bears on the tundra buggy. This was the very end of the season, and the sea was frozen, so a fraction of the bears from a week or two earlier remained on land. 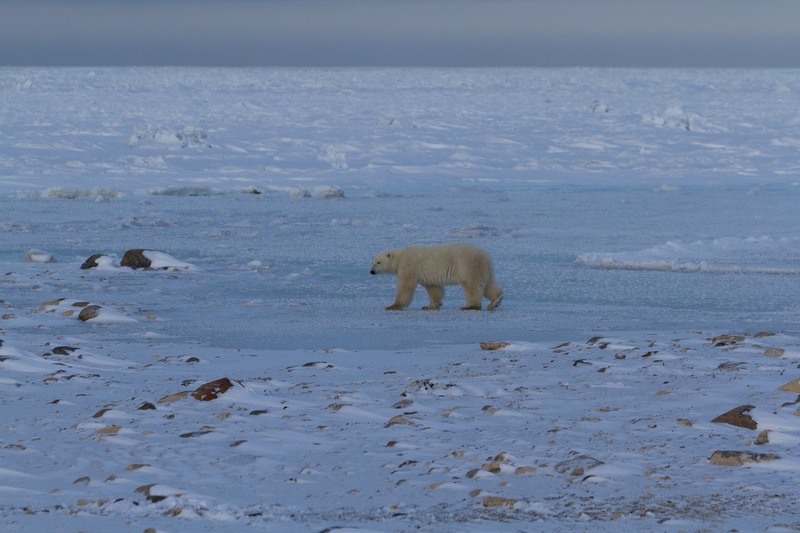 This means that providing there isn't an early thaw, the bears will have longer to hunt for seal than they otherwise would have had. 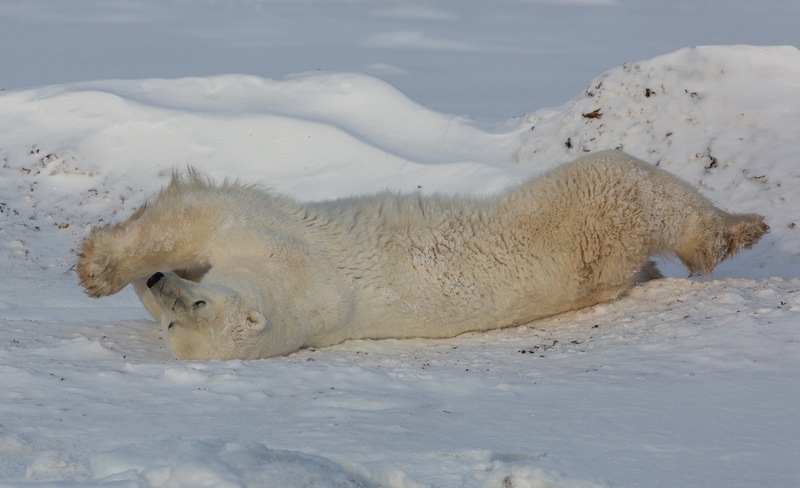 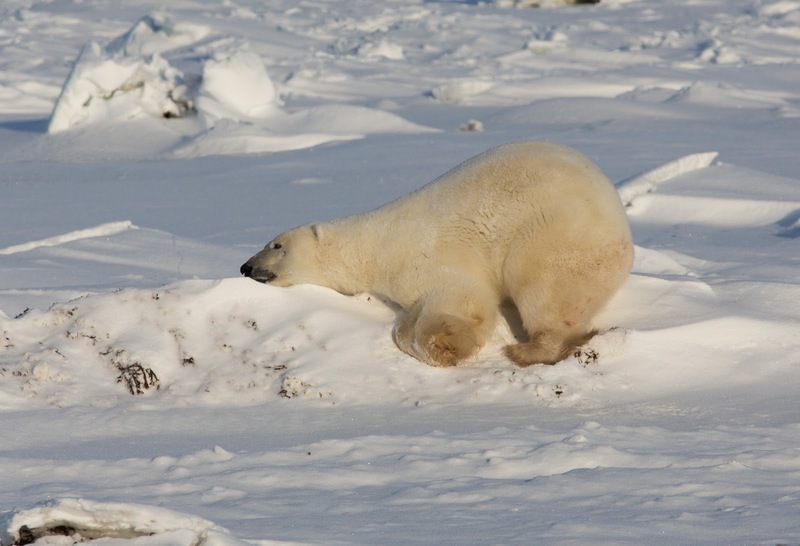 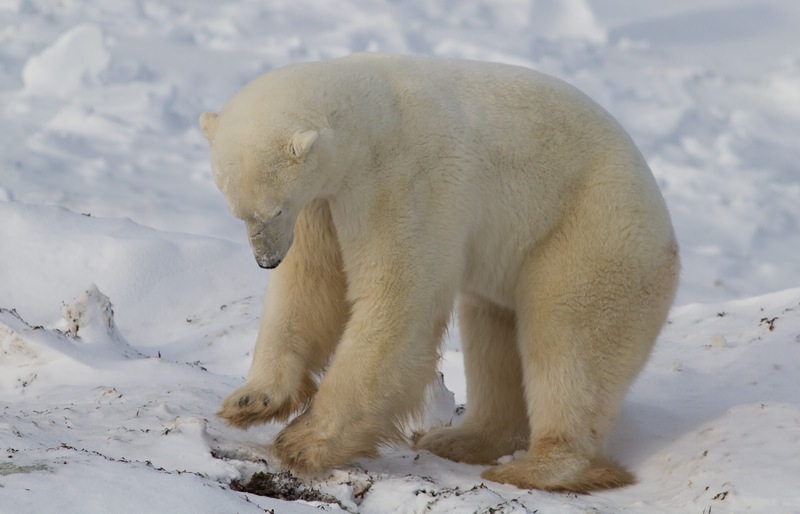 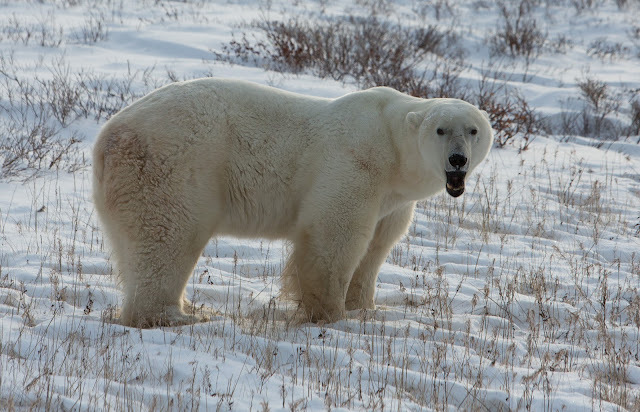 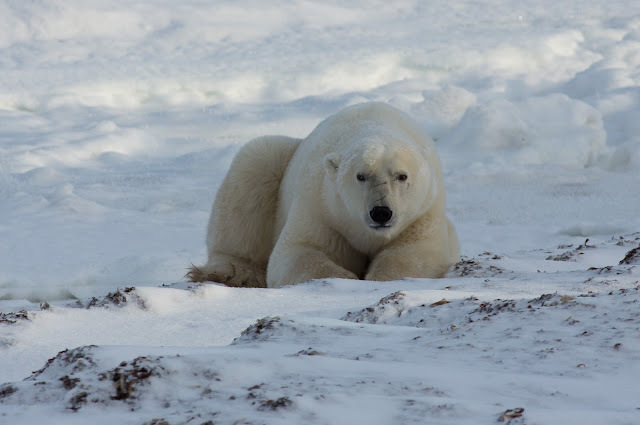 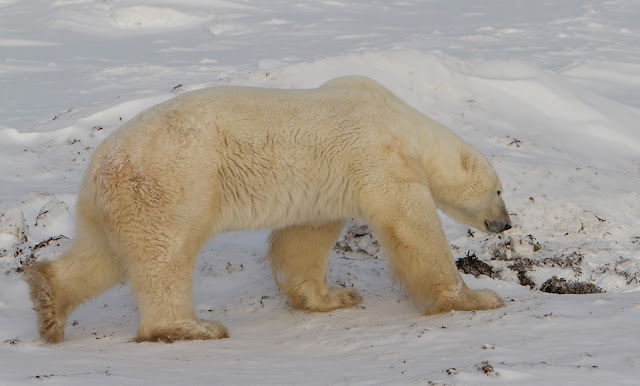 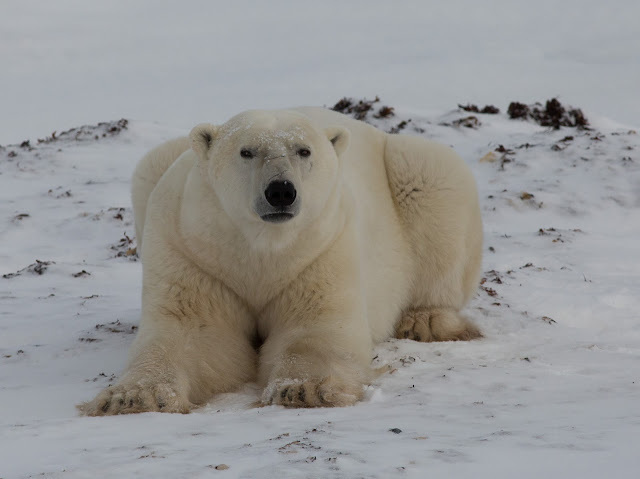 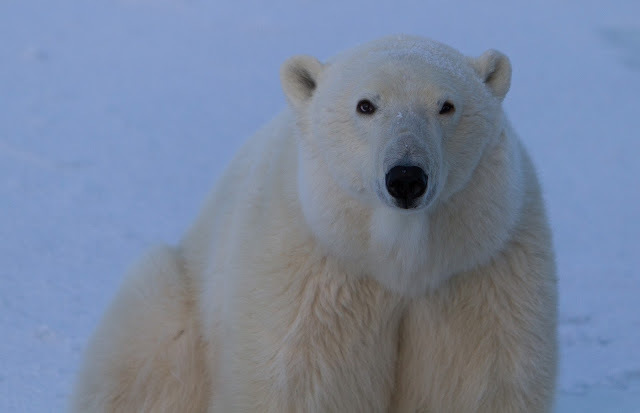 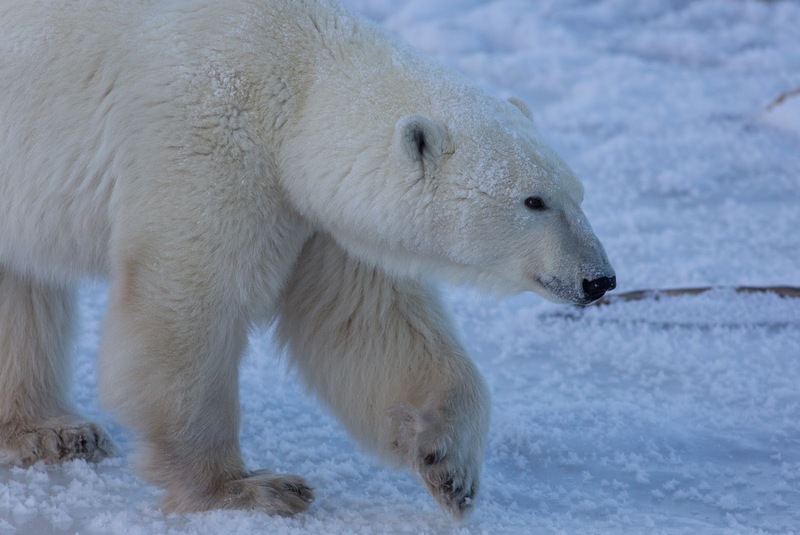 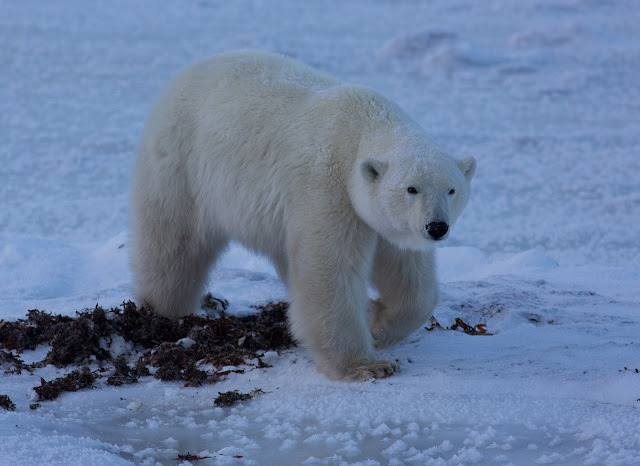 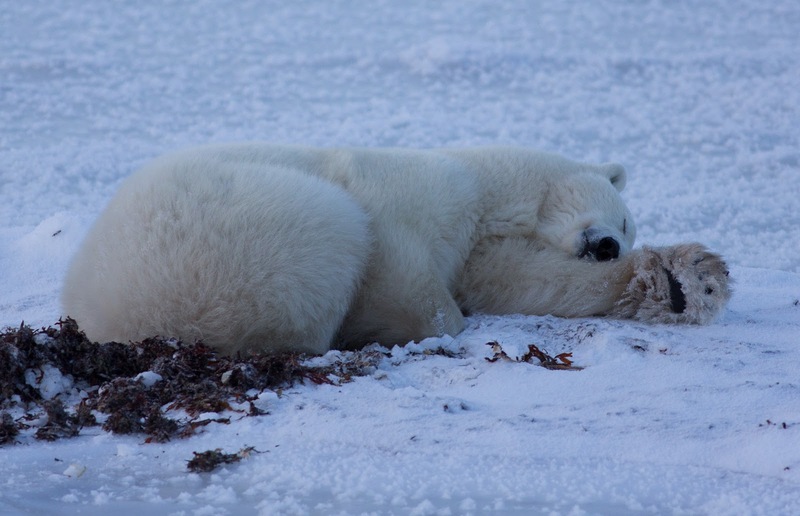 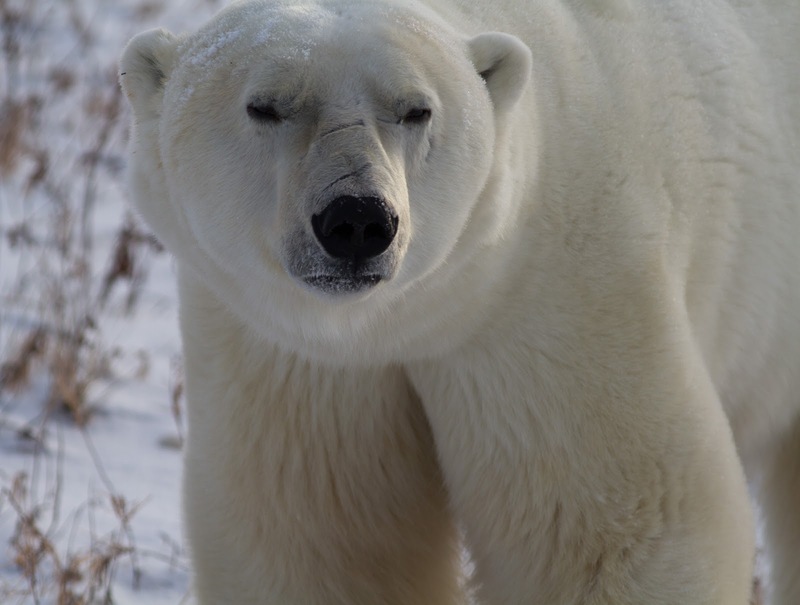 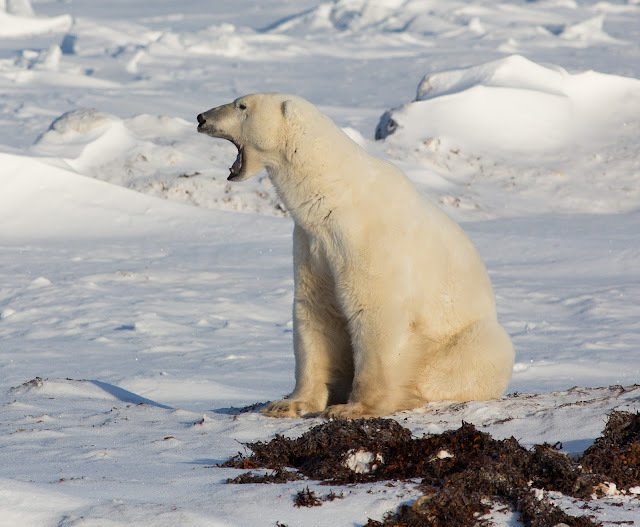 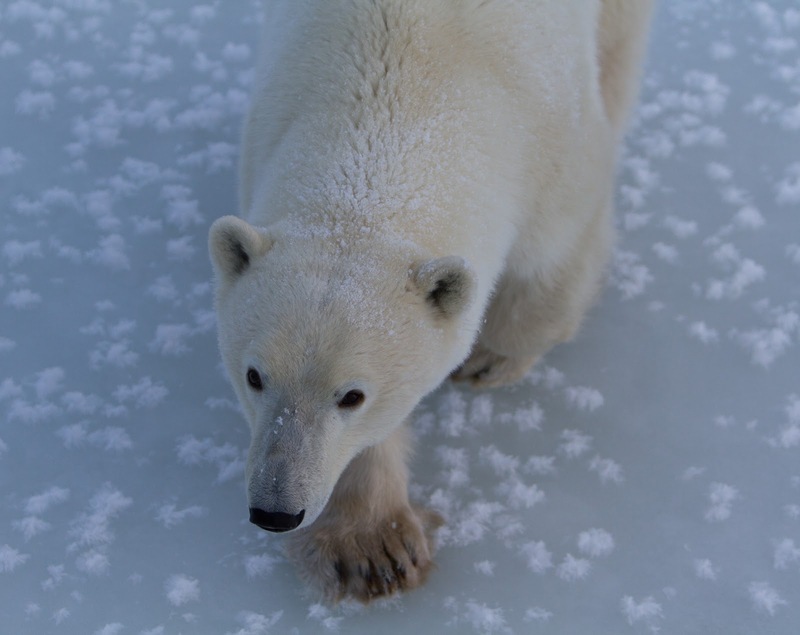 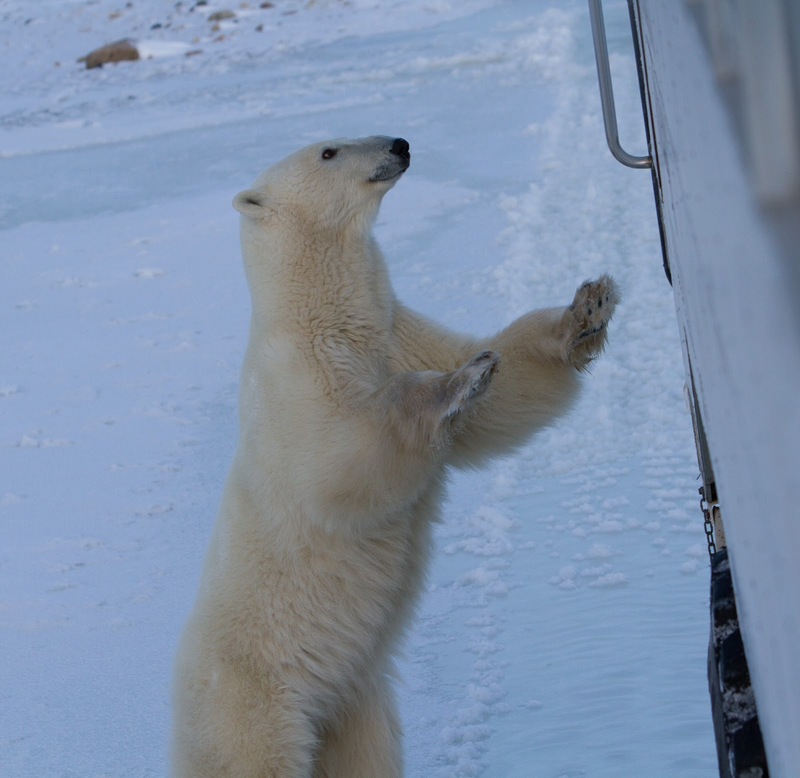 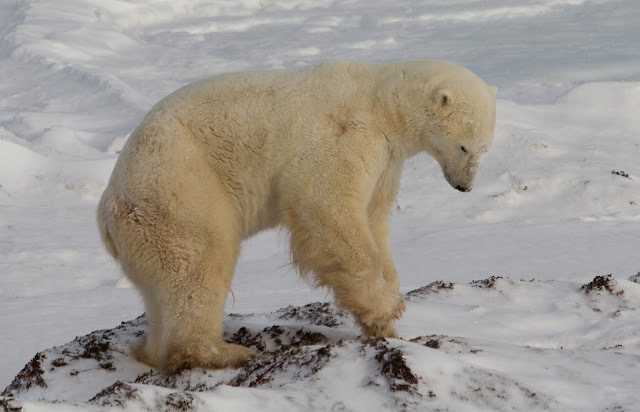 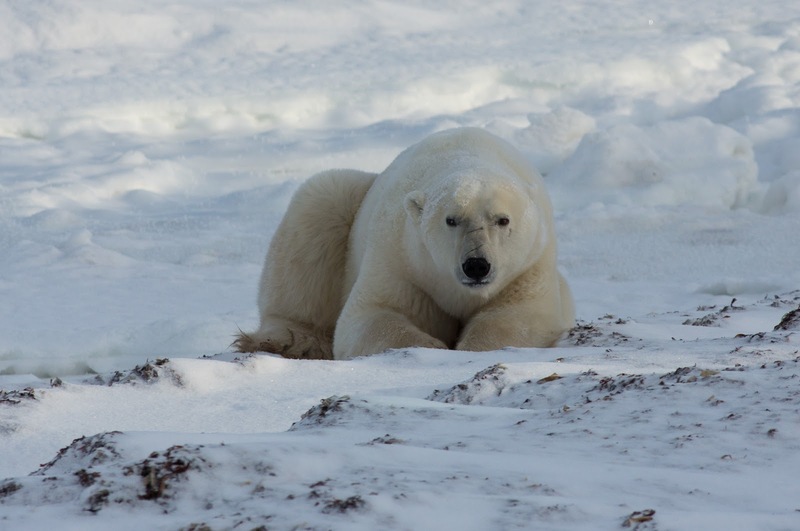 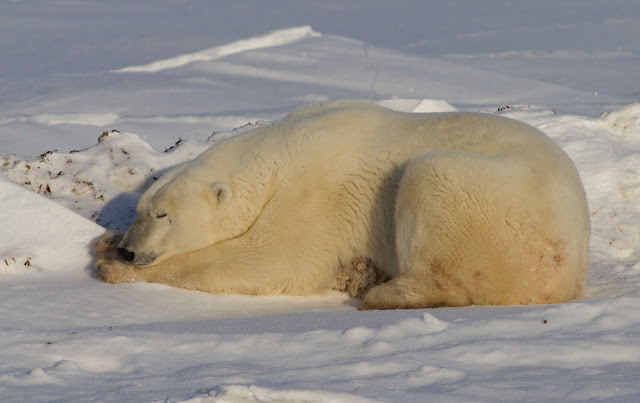 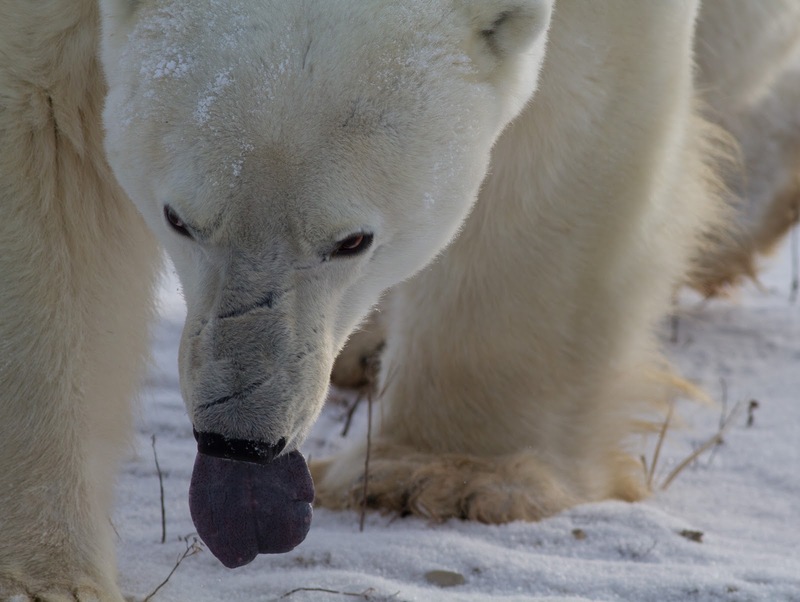 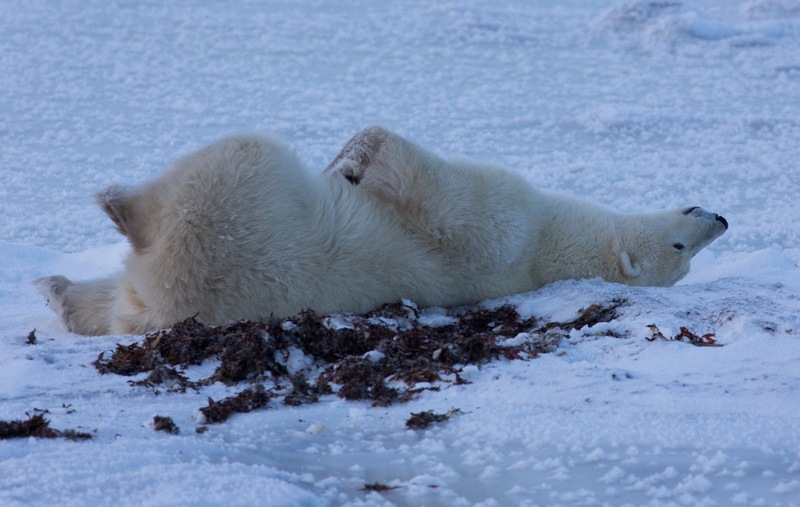 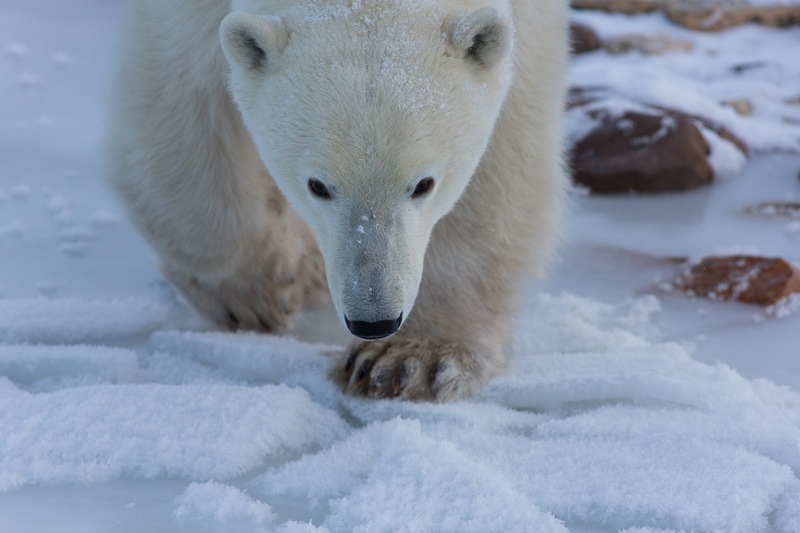 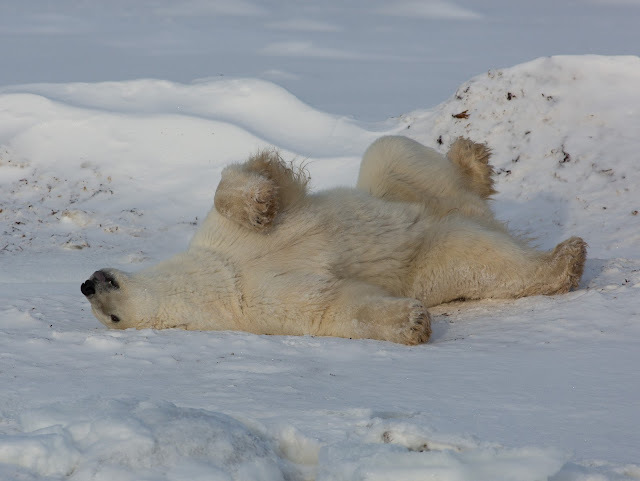 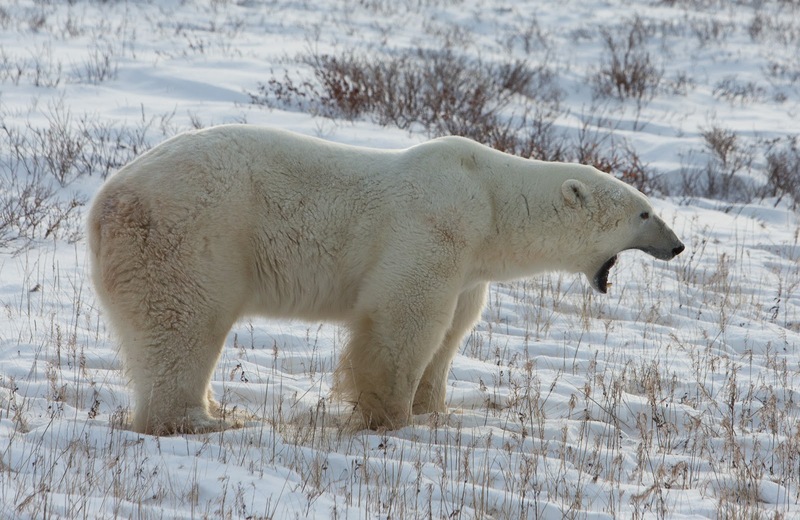 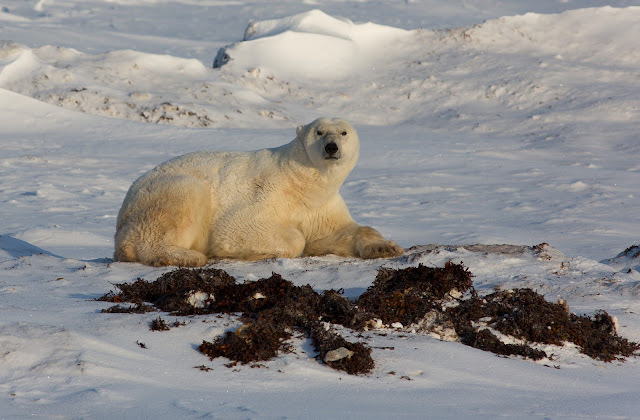 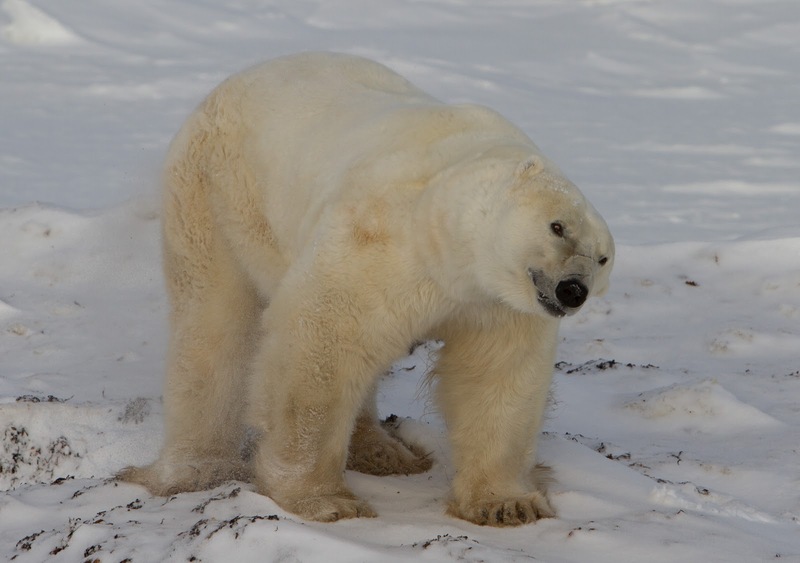 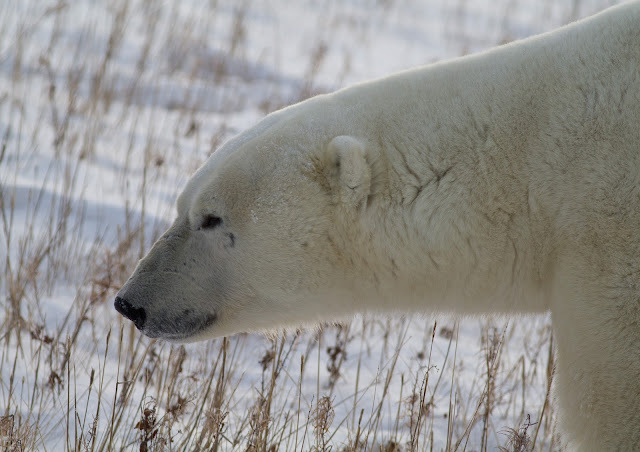 I hope though that this yearly variation in weather doesn't distract from the inescapable evidence that the climate in the Arctic is warming at an unprecedented rate, putting southerly populations of polar bears such as this in early danger.